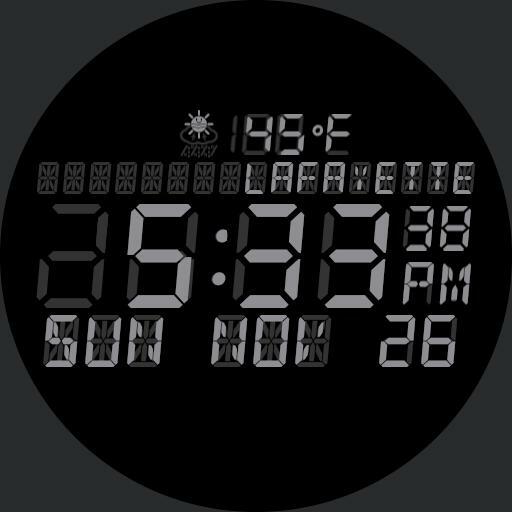 Basic LCD display using 7 and 14 segment fonts. Tap weather to update, hours to toggle between 12 and 24 hour clock, minutes to cycle backward through colors, seconds AM/PM to cycle forward. Tap bottom of screen to display color chooser. Screen placed over display in dim mode to reduce OLED burn, set for 320x320 display.